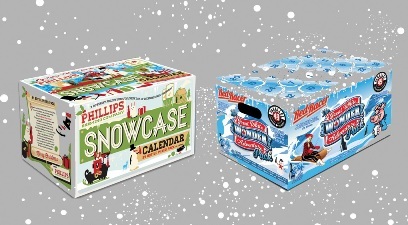 Christmas is fast approaching, and back by popular demand is our seasonal Twelve Beers of Christmas Festive Case – $99.99. With the tremendous increase in Craft and Specialty beers, we’ve chosen some special brews for you this year. There are some beers that we’ve held back only for this sampler that are not available at retail so grab yours while supply lasts. Only 36 cases available and already selling fast! 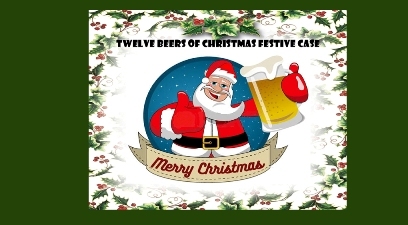 You can read more detailed information on the specific beers that comprise this case and purchase the Twelve Beers of Christmas Festive Case online here..
Two more new beer Christmas Advent calendars have arrived at deVines this week. Always among the most trending and popular gift ideas for the fast approaching holiday season, these are wonderful gifts for those who like to be surprised. For the agnostic or uninitiated, an advent calendar is a specially constructed calendar used to count or celebrate the days in December leading up to Christmas from the 1st to the 24th. The ‘advent’ part comes from Christian tradition, whose 24 day advent season generally starts between November 27 and December 3rd. Each physical advent calendar presents a rectangular “window” front with 24 doors in non-consecutive order to be opened, one each day until Christmas. The origin of the Advent Calendar can be traced back to the 19th Century where Protestants made a chalk line for every day in December unil Christmas Eve and that has continued to this day. We will have a few available in the store of all of the below but we are not stockpiling them. Secure yours sooner than later to avoid disappointment. Also, a reminder the popular deVine’s 12 Beers of Christmas will be available very shortly. 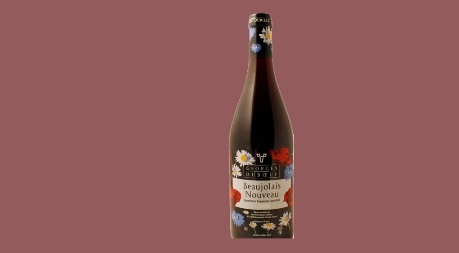 Beaujolais Nouveau is meant for current drinking, capturing its freshness and fruitiness, it is not meant for aging at all. Quite limited in quantity so come in early to avoid disappointment and have a lovely Beaujolais Nouveau party! 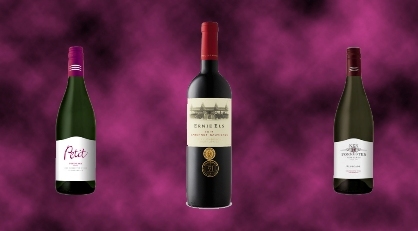 deVine welcomes Tara Smith of Lanigan & Edwards Wine Merhcants as she presents the wines of two legendarySouth African wine producing giants – Ernie Els and Ken Forrester. You will sample the classic grapes of the Stellenbosch wine region – Sauvignon Blanc, Chenin Blanc, Pinotage, Cabernet Sauvignon and as well as a couple of blends. South African wines are unique in the wine world in that the noses of the wines are very complex with old world terroir character yet on the palate there is plenty of new world fruit. For someone who wants to transition from New World to Old World, I know of no better path than through South African wines! This is a stand-up tasting, don’t miss it as it features some great value wines to boot.